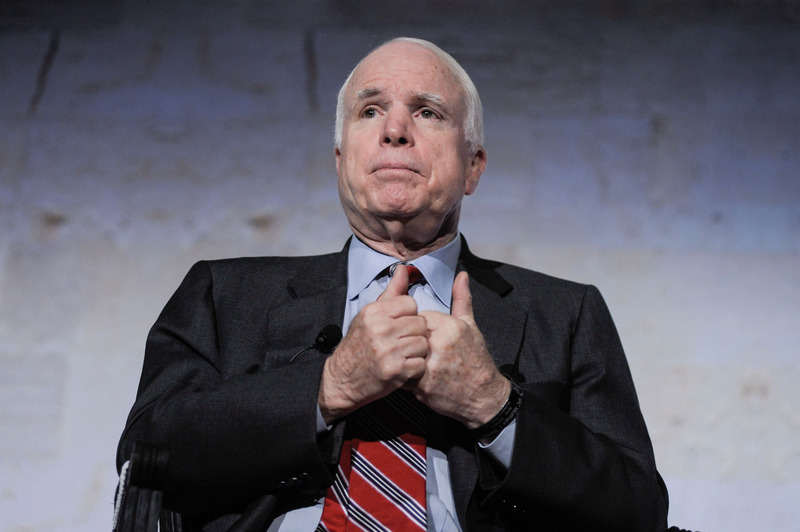 For McCain, though – it’s personal. For months he’s rallied for more aggressive intervention in the civil war-torn country, arguing its vulnerability as a terrorist safe haven could pose serious security risks to the United States. “If you don’t care about Syria, my dear listeners, if you don’t care about Syria, it’s becoming a regional conflict,” he said Tuesday. “It’s spread to Lebanon. It’s spread to Turkey. It’s spread to Jordan. It is spreading throughout the region, and sooner or later it will affect the United States of America if you allow a place to become a base for al Qaeda. “The people who are giving him the weapons are the Russians, and our secretary of state is buddy-buddy and palsy-walsy with… his buddy ‘Sergey’ in places like Geneva and others,” McCain said.